[We're proud of] things like our 8-player versus enemy mode. It's quite unique. Quite structured. 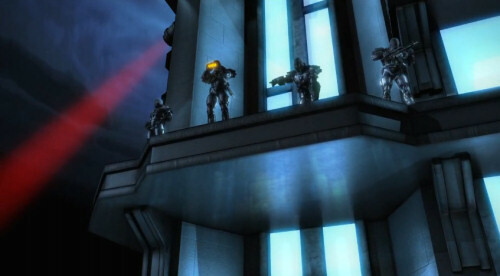 Again, drop-in, drop-out: Where if you want to engage in this mode you can have up to eight players in an environment fighting against a huge amount of enemies. Joystiq pressed a little further, asking about a scene during a hands-off demo in which eight players were faced with a swarm of "Freaks". Steve reaffirmed the survival mode. Yeah. Eight guys. Online, fighting together in an environment like that. We believe it could be just fantastic fun. This mode is in addition to the 4-player online campaign. It's no secret that we have an affinity for killing zombies, and we love co-op survival modes. In light of yesterday's Army of Two news and our recent editorial, this bandwagon just got bigger and better! Incoming Intel, Agent: New Crackdown 2 Screens! Crackdown 2 To Feature "Thousands of Enemies on Screen"
Page created in 0.2343 seconds.